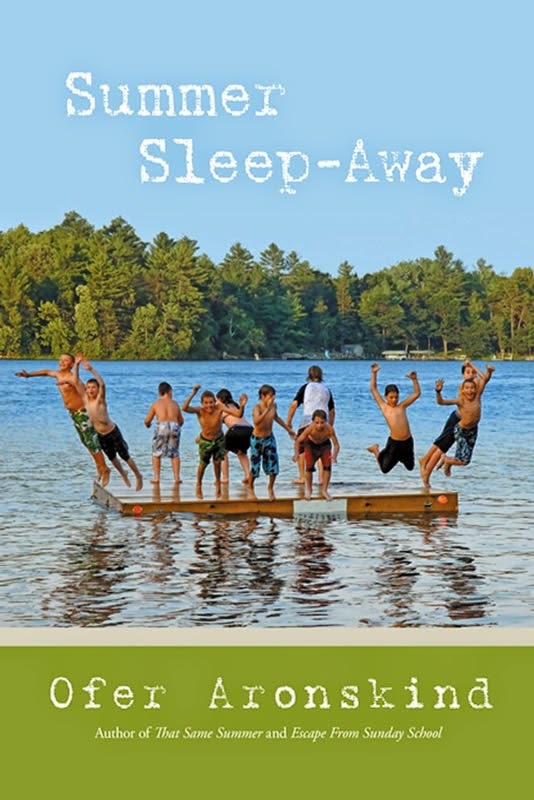 I recently was sent a copy of Summer Sleep-Away to review. The book is a a young adult novel by local Short Hills, NJ author Ofer Aronskind. I have to say even though it was a young adult book I really enjoyed it! It is the perfect time of year too, being summer and all. Plus, the author made the main character Mattie Kleinfield completely relate-able. Mattie is a shy boy whose parents send him to sleep away camp one summer. On the bus ride there, and the first few weeks, he wants nothing more than his parents to come pick him up and get out of that place. Which I think is pretty typical considering he is kind of a loaner at school and in his neighborhood. Then in a turn of events, it turns out THIS is Mattie’s summer. From becoming a sports star, to a camp hero, to securing the camp’s cutest girl as his girlfriend! In the end he enjoys camp so much that he doesn’t want summer to end. I particularly loved this book because I am a mom to three boys. I loved the way the author told the book from a pre-teenage boy’s view. I will definitely be giving a copy of this book to my children when they are older and have already gifted a copy to a few of our pre-teen male cousins in the family. Ofer Aronskind does a fabulous job of maintaining Mattie’s innocence all the while sharing and showing you just how much he is growing and maturing at camp-and it is all done very tastefully. I also think there is a bit of nostalgia in the book as well…at least for me there was. As a young, pre-teen girl, I wanted nothing more than to spend a summer at sleep away camp bonding with my bunk mates, doing each others hair, making friends, competing against other bunks, singing camp songs, and drinking “bug juice” aka a container of homemade juice supplied at breakfast, lunch, and dinner on every table in the dining hall! This book was able to bring me right back to that point in my childhood and made me really, really enjoy it! Ofer Aronskin is on Social Media as well. I received a copy of Summer Sleep-Away as well as compensation. All opinions in this review are my own. « Can you DIG it?